In 1908 Fredrick Carlton Hills sailed from England to settle in North West NSW. He bought with him knowledge of working the land, tendering crops and reading the weather. His success in the region planted the seed for the legacy that is today Bellata Gold. 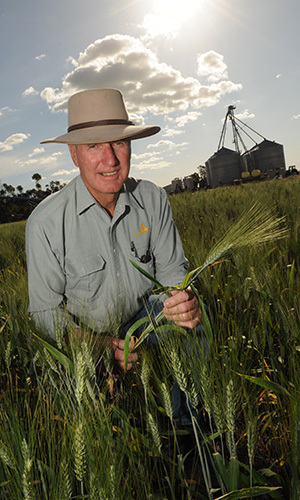 Grandson to Fredrick Carlton Hills, Doug Cush, moved to the Bellata region, in the heart of the Golden Durum Triangle in 1975. Not content with prices provided in the domestic market for his premium grade durum, Doug began exporting direct to Italy. When a container of grain spilt on the wharf in Sydney on its way to Italy, Doug, curious to see why his grain was so popular with the Italian pasta makers, had it milled and made into pasta and entered into the Fine Food Show in Sydney……….it scooped the pool and won numerous prizes. Encouraged by a number of rave reviews, Doug decided to investigate a little further and took a trip to Italy. Whilst there he discovered the world’s finest pasta makers knew where Doug was from (Bellata, a small village) because of the quality of the durum wheat produced in the area. Whilst in Italy, Doug met a pasta maker’s Grandmother who tasted Doug’s pasta – she commented that she had not tasted pasta like that since she was a little girl. She explained that today most pasta was blended with bread wheat and lower quality durum wheat, which meant that it did not have the ‘al dente’ characteristics of real pasta, and lacked taste. Doug’s passion for producing high quality products led him down the value adding path with a vision to transform his prized durum wheat into high quality semolina not available elsewhere in the marketplace. 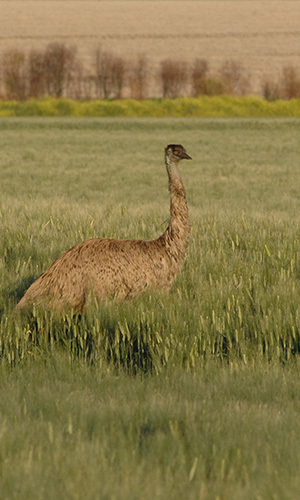 To achieve his dream Doug purchased a block of land on the outskirts of Tamworth and imported a state of the art fully computerised durum mill from Italy, the first of its kind in the southern hemisphere. The mill was completed in 2007 and word soon spread about the new boutique miller with the ability to produce semolina that gave fresh pasta makers a cleaner and brighter product with less wastage in their manufacturing process. 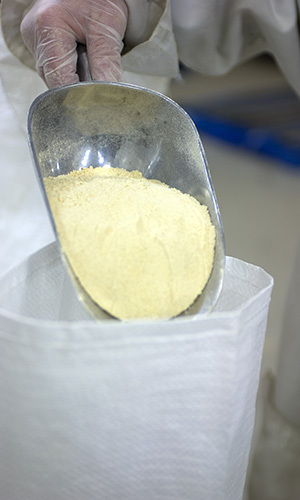 Today Bellata Gold Milling manufacturers Semolina for a growing number of pasta manufactures and restaurants throughout Australia, Asia and the South Pacific. Contact us today and taste the difference!